Sell on mobile devices, sell anywhere. Streamline your online sales with elegant industry standard eCommerce. Explore our demo products below for inclusions & services we offer. Our process first starts with a chat to understand info about your project and the details of how you want your Online Store to be designed and perform. This lets us realise the same vision you have. 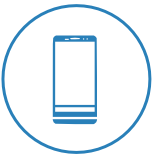 We believe talking to you over the phone achieves the most accurate transfer of primary information and answers many of your questions at the same time. Our customer support understands the complete process in whole and has been involved in the formation of our eCommerce Web Development platforms from the beginning. Our eCommerce Standard Platform is a professional Web Store that is produced and ideal for the growing small - mid eCommerce business. We produce a Work Sheet that contains all of the details and expectations your business requires and then begin your project. Make contact with us today to have a detailed tour of the demo and this service we offer. 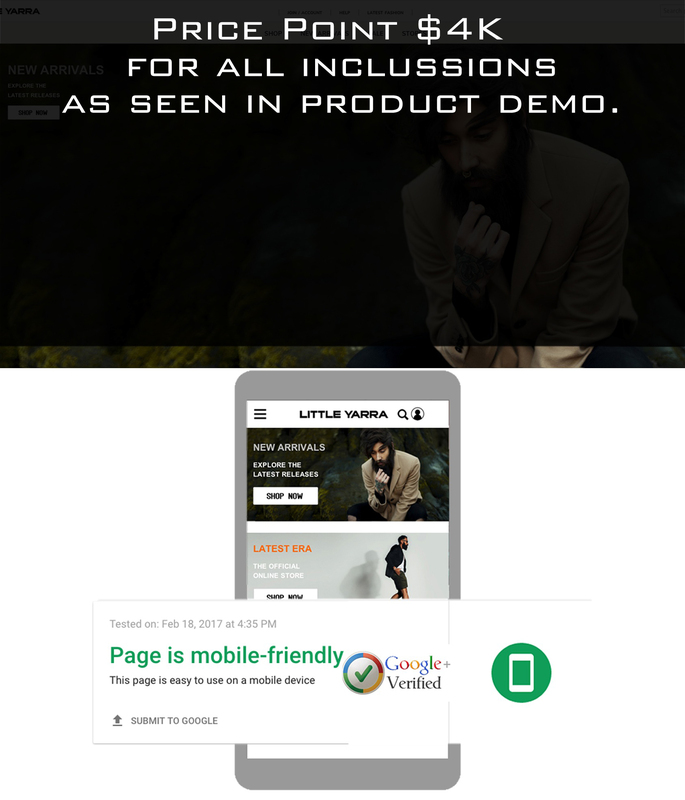 The Little Yarra Demo is an example of all the inclusions offered in the Industry Standard eCommerce Platform. Explore all of the detail in the Demo to fully realise & learn about all the features & cart functions of this platform to find out if this fits your project & brand. The eCommerce Standard Platform is an eCommerce website that is hand coded and custom designed. It is not a template or a theme. It is not WordPress. This platform is a website made to the client’s design specifications from scratch. 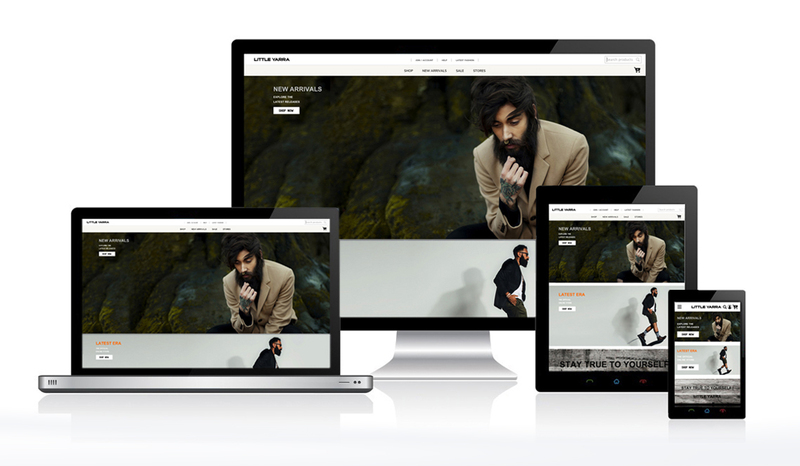 We specialise in creating custom style sheets in responsive design. In a nut shell, custom Cascading Style Sheets (CSS) are what makes your site look original and work the way you desire. This process is unique to our company in this price bracket. Many web design companies re-design a pre-made template or use a theme to get a similar result - obviously not desirable. The eCommerce component offers complex product categories of conventional standards that are completely up-scalable. The CMS Backend allows the seller to control all relevant functions of the shopping cart data base system with ease. We have chosen to partner with the Ecwid shopping cart system because of its complete value that we believe is second to none, it offers value for money and real support. Our clients can choose the Plan ($15 USD per month). This plan offers up to 100 products in your store. The Business plan ( $35 USD per month) supports up to 2,500 products in your store, and at this price point its the popular choice for this platform. The unlimited product plan is also available from Ecwid, this supports unlimited products and up to 1000 categories in your store. In reality it does not actually support an unlimited number of products, however it does support many thousands of products, this is consistent with very large online retail stores. For more information on Ecwid plans and pricing please explore the website.